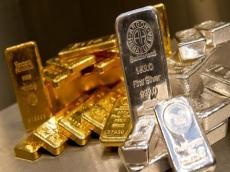 The gold, silver and palladium prices for increased in Azerbaijan, Trend reports referring to the country’s Central Bank Jan. 15. The price of gold increased by 1.0455 manats to 2,195.0315 manats per ounce in the country on Jan. 15 compared to the price on Jan. 14. The price of silver increased by 0.192 manats to 26.6463 manats per ounce. The price of platinum decreased by 6.5535 manats to 1,368.1175 manats. The price of palladium increased by 21.0375 manats to 2,254.455 manats in the country.